Listen to the full interview below or stream on your iPhone HERE. 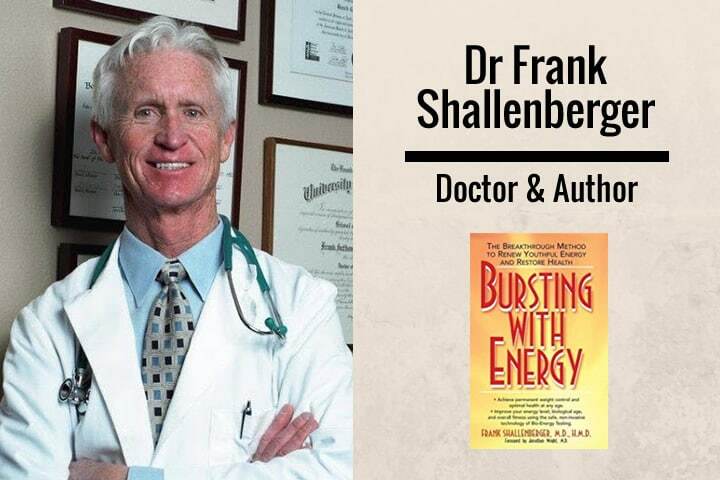 Stu: This week we welcome Dr. Frank Shallenberger to the show. Dr. Shallenberger has been practicing medicine since 1973 and has been a pioneer in alternative/integrative medicine since 1978. He is one of only 16 physicians in Nevada that are licensed both in conventional medicine as well as alternative and homeopathic medicine. This allows him to integrate the best of both approaches for optimal results. Dr. Shallenberger has revolutionized the practice of anti-aging and preventive medicine by developing a method to measure mitochondrial function and oxygen utilization. He is also the developer of Prolozone®, an injection technique that has been shown to regenerate damaged joints, herniated discs, and degenerated joints, tendons, and soft tissues. 01:49 Welcome to the health sessions podcasts. Each episode will cut to the chase as we hang out with real people with real results. Stu: 02:08 Hey, this is Stu from 180 Nutrition, and welcome to another episode of the health sessions. 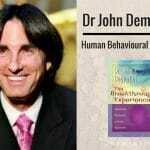 It’s here that we connect with the world’s best experts in health, wellness and human performance in an attempt to cut through the confusion around what it actually takes to achieve a long lasting health. And I’m sure that’s something that we all strive to have. I certainly do. 02:28 Before we get into the show today you might not know that we make products too. That’s right, we’re into whole food nutrition and every range of super foods and natural supplements to help support your day. If you’re curious, want to find out more just jump over to our website, that is, 180nutrition.com.au and take a look. Okay, back to the show. 02:50 This week I’m excited to welcome Dr. Frank Shellenberger. Dr Shellenberger is a practicing physician and has and a pioneer in integrative medicine since 1978. He revolutionized the practice of anti-aging and currently practices at The Nevada Center of Alternative Anti-Aging Medicine. In this episode we discuss the mechanisms that cause us to age, and talk about the strategies that we can utilize to tackle it. 03:14 I personally learned a lot from this conversation including the surprise supplement that could be very beneficial where longevity is concerned. I hope you enjoy this episode as much as I did. Over to Dr. Shellenberger. Hey guys, this is Stu from 180 Nutrition and I’m delighted to welcome Dr. Frank Shellenberger to the podcast. Dr. Shellenberger, how are you? 03:39 I’m very good, Stu. Nice to talk with you down there. 03:41 Yeah, absolutely. Great to be able to dial into a little bit of your wisdom because this is a topic that I amongst many others are confused by, I think. And when I say topic I’m talking about the aging process and then all of the practices and strategies as well that we can utilize to try and roll back the clock. And I read a while back, in actual fact, I think first before we get into what I read, for all of our listeners that may not be familiar with yourself and your work I’d love it if you could tell us a little bit about yourself, please. 04:20 Okay. Well, let’s just keep it short. I graduated from medical school in 1973, so I’ve been around for a while. And ever since then I’ve been treating patients pretty much full-time. I would say somewhere around the late seventies I became very interested in natural types of medicines, and that’s it started in … you know the problem with medical school and the medical system, at least up here, is that they just, all they ever did, and we didn’t realize it at the time but all they ever did is teach us how to help people with their symptoms. Rare was the time when they actually taught you how to find out what the cause was and eliminate the cause. You know [inaudible 00:05:17]. 05:20 So what happened was I got into the natural thing and I started realizing well [inaudible 00:05:25] there’s causes to things. There’s a cause. If you got hepatitis or whatever it is your problem there’s a cause. And then I ran into a guy by the name Ward Dean. I don’t know if you’re familiar with Ward, but Ward was a little ahead of his time. He’s a medical doctor but he got into this thing called anti-aging. 05:46 And I was talking to him one day and he says, “Aging, Frank, it’s the only disease everybody gets.” And I thought, “Wow.” If you look at it that way, you know you think of a disease has a case so you gotta think the process of aging has a cause. 06:04 So, I started in the early eighties, started wondering about what the heck causes us to age? It’s just one of those things that’s so obvious you don’t really, you just say, “Oh, yeah. You age.” But you don’t necessarily ask, “Well, why? What’s behind that?” Because if you know the cause of a disease and you treat the cause something good is gonna happen and if you know the cause of aging and you start treating the cause something good is gonna happen. So that’s my background, that’s how I got into this particular way of thinking. 06:35 Fantastic. Well, I’m very intrigued and I was saying before I’ve read … I actually read an article in the National Geographic and I think it was last year and they had a whole feature on aging. And one of the statements was a pull quote on one of the pages, it really stuck out for me and it was that, “Aging is just a technology problem and we’re not that far away from fixing it.” And so my question to you is, what is the aging process? Some people just seem to age so much better than others. And I know there are so many factors in there, but what in, I guess to simplify, what is the aging process? 07:16 Well, that’s a good way of putting it because what I’m gonna do is simplify it. Because it is human beings are just absolutely utterly complex if you just try and break it down into little individual things you’ll just go crazy. But what we know is that as people get older their ability to process oxygen into energy diminishes and at some point it stops. And when they stop producing energy that’s when the lights go out. 07:54 So, if you can manage to maintain the ability to process energy, and we can talk a little bit of what I mean by that, but if you can maintain the energy you’ll have more birthdays but you’ll still be functional because this is an energy situation. 08:19 I tell my patients it’s really analogous to a flashlight. You have a really good flashlight. The bulb’s working well, the wires are working well, there’s no problem with the flashlight perse except the batteries are going bad. And so it doesn’t work as well and eventually the batteries go out. And that’s where human beings are. We have two aspects to … and I’m thinking specifically of a cell, but just in generality there’s two aspects to human life. 08:56 One is the aspect that we all focus on and that’s what you do, what does the organism produce? What can the organism do? There’s the action involved. It makes protein, or the cell divides, or it makes an immunoglobulin, or makes a digestive enzyme, or you move your right arm, or whatever, but the stuff that the body does. 09:20 And then there’s stuff that the body uses to generate the energy to feed the first part. And there’s that part of the body that generates the energy that goes to the part. The actual ability to move the arm doesn’t go to the part. What goes to the part is the energy that’s required to move the arm. 09:43 If you somehow can maintain that energy as we get older things oughta be a lot better. 09:49 Right. So, when you are talking about then the energy production and specifically the cells as well, are you referring to mitochondria? 09:59 That’s exactly right. Yeah. So, what happens is and just for the listeners maybe they know this, maybe they don’t. In each cell in your body with one exception, and that would be red blood cells, but other than that all the cells in your body about roughly, almost half of the entire volume of that cell is made up of mitochondria which are these little bubble-like structures. 10:28 All that oxygen that we breathe in it only has one purpose. It’s a high energy molecule. It finds its way into the mitochondria. In the mitochondria that’s where the little miracle of life happens. In there those mitochondria are able to pull out the energy from the oxygen and harness it and then it sends that energy out to the rest of the cell to go do what it does. 10:54 So, the ability of those mitochondria to extract the energy and to harness it and to transport it is what we’re talking about. Because as we get older, as we get stressed out is there’s more toxicity and you go on and on with the list. Everybody knows what makes you old but as you go on with that list inevitably what happens is the mitochondria becomes less efficient at doing that and the cell doesn’t get the energy at once. It can’t do what it wants to do. Whether it’s a brain cell or kidney cell it doesn’t much matter. It can’t do what it wants to do and ultimately this translates out to weakness and frailty and susceptibility to disease and inability to repair damage and all those things that characterize what we think of as the aging process. 11:43 Right. Okay. And if we wanted to test the health of our mitochondria is there a gold standard to be able to do that, to get an understanding of where we are from a health perspective right now to test and measure how what we do may change the performance of the mitochondria? What tests are available. 12:57 What if it’s the other way around? 13:01 What if it’s not like we get old and we don’t make energy so well, what if it’s we don’t make energy so well and that’s why we get old. 13:17 Right. What did you do? 13:19 So, I looked into a number of different techniques and that some people had previously thought of that and there were some techniques out there but they were less than perfect because a lot of them were invasive, you have to stick needles in the arteries and such like that. And I finally, it just occurred to me all the oxygen that I take in my body it only does one thing essentially it’s easy to track. All it does is go into the mitochondria, that’s it. 13:48 So, if I can measure the amount of oxygen that my body is consuming that’s in direct proportion to my mitochondrial function. So, you can do that. You can take a gadget that’s called a VO2 analyser. The V stands for ventilation, the O2 stands for oxygen. And what this is it’s a gadget like a scuba mask. You put it on, you’re breathing through it, it’s connected to a device that’s gonna measure how much oxygen is going in with your breath and then your residual oxygen that’s coming out of your breath, and the difference is the amount of oxygen your body just consumed. 14:30 So, if I can do that to somebody and they consume a whole bunch of oxygen I can say they have pretty good mitochondrial function. Things are working. If they’re [inaudible 00:14:40] producing, consuming the oxygen they don’t consume so much, I can say they got problems. The other side of that equation is this device also measures how much carbon dioxide you put out. Because when the mitochondria processing oxygen one of the quote “waste products” of that reaction would be carbon dioxide. 15:05 So the gadget measures carbon dioxide coming out. And what I learned subsequently was by looking at the amount of carbon dioxide that comes out per molecule of oxygen that gets consumed tells me how efficient the mitochondria are. 15:23 And so it comes out like this to the total amount of mitochondria in my body which can vary and which you probably know is the older you get, you get fewer mitochondria. So, the total amount of mitochondria is directly correlated with the total amount of oxygen consumption. But the efficiency of the mitochondria is it correlates very well with the ratio of carbon dioxide to oxygen. So, by looking at those two numbers and then taking the values and putting them through some algorithms, I can measure mitochondrial function, how efficient it is and how many mitochondria you basically have working in your body. 16:11 It’s pretty wild. It’s so simple. It’s non-invasive, you don’t have to drill holes in people or do anything like that. Stu: 16:17 No, absolutely, and it almost sounded to me like it was something that you could do at home if the appropriate tool existed because it doesn’t seem too specialist if [crosstalk 00:16:31]. 16:30 No, the tool itself wasn’t the problem because NASA designed devices like these back in the early eighties to go out in the spaceship. So they have these tiny little boxes now that you can get that will actually measure the O2 and the CO2. The problem comes that you get all these data. So you can imagine you’re getting a second by second oxygen consumption carbon dioxide production data on somebody who’s on a bicycle and exercising for 30 minutes. 17:04 Think about it like 400 pages of data. So how do you make sense of the damn data? And so the next phase I had to do is come up with a computer program, which for me is impossible because I don’t think that way. So I had to hire some people, but ultimately we created this computer program and so now it’s very cool. 17:25 You just get the data, you plug it just instantly into the computer program and bingo out pops all these calculations and measurements. 17:34 Fantastic. So, if mitochondria aren’t performing anywhere near to the level that they should be, where do we turn? What do we tackle first? 17:47 Yeah. So, that right there is the holy grail. To me that’s the holy grail aging what can you do to, number one, prevent your mitochondria from going down the tubes which is what they normally do as you get older. And number two, if you’re already going down the tubes what can you do to bring them back, to resuscitate them so to speak. And what I can tell you Stu is there is a point of no return. 18:16 And so there’s gonna be a point where things are so bad, you’re just not gonna resuscitate those mitochondria, that normally leaving aside really traumatic things like car accidents and things like that. 19:00 … nothing wrong with them, no drugs, no nothing, everything’s okay between the ages of 30 and 40 and we found that something like 20% of them had severe mitochondrial deficiencies. 19:12 Yeah, exactly, so you got to look at that 20% of people and you got to think to yourself, well who’s going to get cancer? Who’s going to develop Alzheimer’s? Probably those 20%. 19:25 Those are, they’re getting a head start. So what would be really cool is to when people are young like that, measure them, yes, you’re 20% and start doing something to them. Let’s see what we can do to help them out and see if we can’t make them better and that would be sort of pretty much … the top thing’s probably exercise. That’s probably the top, head of the deal right there. Now a lot of other factors, one of which by the way is thyroid hormone. 19:59 We could talk a little bit about thyroid ’cause that’s a really wild topic. But there’s thyroid hormones in the younger group and then in the older group, as you get over 55-ish or so there’s other hormones involved, there’s toxicity. The longer you’re on the planet, the more toxins you will have absorbed, the more lead, the more mercury. 20:20 And all these heavy metals, that’s how they exert their toxicity. Is by poisoning mitochondria. 20:26 Okay. I’m really intrigued by the exercise component then and exercise could be so varied and I personally have always favored resistance training over endurance training. But obviously people pound the streets day after day and you’ve got ultra endurance marathon runners and then at the other end of the scale you’ve got high intensity interval training and everything in between. What type of exercise do you think would be most beneficial for mitochondrial health? 21:05 Right. Okay, right.Dr. Frank: 21:07 You actually have to do both. 21:24 Even though we’re talking and stuff, we’re not doing anything with a lot of exertion. So, we call that resting metabolism, that is determined predominantly by your lean body mass. 21:38 Then you get into the aerobic metabolism, your maximum metabolism, that’s when the aerobics come in. So you really have to do both of these things, I think, to get the right balance. 21:48 And the idea is, you get yourself tested, if you test out great, fine. Just keep on what you’re doing and get tested next year. If you start seeing a downward slope on these values, then you know … you know what, I’m going down, I need to make an adjustment. And then you make the adjustment, you get re-tested and if you’ve made the right adjustment then you’re gonna see that. But normally, the adjustment, probably number one thing that seems to be the most important is exercise and I don’t know for sure if that’s because it’s the most important determinant of mitochondrial function, or if it’s the thing that most people don’t do. 22:37 That makes it the most important. 22:39 Yeah, good question. In terms of diet then, if you had to pitch that alongside exercise, what would we be looking at if they were on a scale? Diet on one side, exercise on the other? 22:53 So let me tell you something that’s really wild. I heard some wild stuff when I got this machine up and running, so [inaudible 00:22:59] people. In fact, the listeners will get a gag out of this. I bought my first machine and these analyzers were expensive, they’ve come down since then but I think I spent 40 grand on this machine. 23:43 … out of it and I started, I gotta maybe run 10 people through it. Usually my relatives, the secretary, me, blah blah blah. 24:28 I started looking into it and then what I found out was that this particular sort of testing has been used in basically two ways in the past. 24:40 One is for doctors in hospital settings to determine if there’s pulmonary disease and/or cardiac disease. 24:52 And the other is, in Olympic teams, where they’re testing Olympic athletes and that world class type of athletes. Joe Lunchbox in the middle has never been tested, just have these extremes. People that are all screwed up and people that are world class. 25:11 And that’s what I was seeing. I was seeing normal people. 25:15 Yeah, of course. Fascinating. Wow. And so, have you managed to improve your mitochondrial function? 25:27 So yeah. So what I wanted to tell you, you were asking about diet. 25:30 So, it turns out that when mitochondria make energy or get the energy from the oxygen, they do it by either burning a fat or by burning a glucose. 25:44 Which is the breakdown of carbohydrates. So, they burn either fat or carbohydrate. If they burn fat, they produce less carbon dioxide than if they’re burning glucose. 26:00 Okay, so if you look at the ratio of carbon dioxide being produced to the amount of oxygen being consumed, you can actually tell … oh, this person’s mitochondria burning glucose now. Oh, this person’s mitochondria is burning fat now. 26:14 Or you could even get it down to the point where you’re saying right now at this point in time they’re producing 70% of their energy from fat, they’re producing 30% of their energy from glucose. 26:26 So you can actually divide that up and figure all that stuff out. But what I found out was, there’s a subset of the population that cannot burn fat efficiently, if they eat carbohydrates. 26:45 They can’t burn fat if they eat carbohydrates. There’s another subset of the population that eat carbohydrates all day long, they burn fat just fine and we could get into why that is but what we discovered was, is that when you eat carbohydrates it totally shuts down your fat metabolism for a good say, 4-5 hours. 27:06 ‘Cause I’ll take people and I’ll bring them in and I’ll test them, we’ve done this a number of times, test their mitochondrial function and then I’ll give ’em a couple pieces of bread to eat. 27:19 And I’ll bring ’em back in a half an hour to an hour and I’ll retest ’em and it’s half of what it was. 27:27 Boy oh boy. Well that’s … so consider that then, given the fact that a very large percentage of our listeners today will be following a standard, Australian American diet which is very, very high in processed carbohydrates. 27:45 Definitely compromising mitochondrial function and as a subsequently our energy levels then we’re … I guess we’re just feeling like crap. 27:55 Well there’s certain people that can get away with that, Stu. It’s a subset of the population that they can eat the complex carbs and they do fabulous. 28:05 But unfortunately I think probably most people in Australia or most people up here in the U.S., if they do that all they’re gonna do is get out of shape, fat, tired, sick and everything else is gonna fall to pieces. 28:20 It’s one of the first things that I learned when I was getting into this is that, for some people- and I keep thinking of Hippocrates who 2500 years ago said, “One man’s food is another man’s poison,” and I was thinking about that because carbohydrates to a large number of people are just flat out poison. They might as well go eat arsenic or something, it’s unbelievably bad for them. 28:45 Boy oh boy and I guess that form of testing then is quite supportive of fasting in ketosis. Would that be right then? 28:56 Well yes. So, early on I had a guy come in who was a 42 year old man, he was a movie actor who was out of work. 29:07 And he came up from LA and the guy, he was out of work so all he does he hung out in Los Angeles eating sprouts and going to the gym. 29:19 So he came up, he looked like Mr. Health. He looked like the personification of Mr. Health. 29:25 [inaudible 00:29:25] guy. I go in and I test his mitochondrial function, it stinks. It’s about 70% of what would have been fairly good. 29:34 And I’m talking to him saying what the heck’s with you, I don’t understand this. You’re young, you’re not working, you’re not at all stressed out, you got a good lifestyle blah blah blah. And I learned a little bit later after talking to him that he eats two Dairy Queen Blizzards every day. Which is like a milk shake up here with chocolate cookies in it. 29:58 I said, “Why do you do that?” And he says, ” ‘Cause I like ’em.” That’s a pretty good answer. 30:03 Can’t argue with that. 30:17 He comes back, in 10 crummy days, his mitochondrial function doubled. 30:23 Wow! Boy oh boy. 30:25 And it just shows you. He’s one of those guys he just can’t have carbs. 30:34 Yeah it’s crazy stuff. 30:36 It’s … I think it’s really important to get a little bit of a snapshot of where you are in terms of health as well because I recently did a little DNA test just to get a broad overview of where I lie in that area as well and I’m super unsensitive to carbohydrates and the same thing with fat as well. So it’s kind of shaped the way that I’ve made some adjustments to my diet but I’m one of those people that can get away with eating lots of carbohydrates. 31:09 You know, I wouldn’t say you can get away with it, Stu. I would say they’re actually good for you. 31:16 Yeah. I would say if you didn’t eat carbs you probably would not be able to perform as well as you can when you eat carbs. 31:24 That’s a [crosstalk 00:31:24]. 31:24 You’ve gotta eat the right carbs and not go overboard and all that. 31:27 But for some people, they really need to eat the carbs. 31:30 Yeah! And that’s exactly right because I remember about three years ago I trialed a low carbohydrate diet and this is without any of the testing I’ve got now and without any understanding. And boy I crashed and burned in a big way. 31:49 In a big way! I had zero energy for a long time and actually burn out my adrenals at the same time because it just did not work for me. So it’s … we just don’t know what we have going on inside until we do run some tests and then let the dicer decide. Fascinating stuff. 32:07 Yeah, yeah. So that’s one thing that we could definitely talk about with diet. We got exercise, you gotta get the exercise, you gotta do it. 32:22 You don’t … if you do it smart, you don’t have to exercise five hours a week, you can get away with the 90/ 120 minutes a week. 32:34 And then on your diet, find out if you’re that guy that needs to stay away from carbs and if you are, pay attention to that. Make sure you’re getting some nutrient dense foods like the B vitamins are pretty critical. B vitamins like magnesium, we found, are real critical. 32:48 Right. Okay, that’s good to know. Yeah I was gonna ask about supplementation. So outside of the mineral set, are there any other key supplements that have really been beneficial? 32:59 Yeah, good question. I would have to say the B vitamins. 33:05 We did do … I’ve looked for naturally, I’ve looked for it hoping that there’d be some bottle out there that’s got a pill in it that you could just take and it would be really cool. 33:18 I have not found that bottle yet but we looked for it. We did do … every now and then somebody sends me some bottle of stuff, whether its COQ10 or Carnitine or whatever their deal is and I’ll test it out and the only thing I’ve ever found that works, that’s a supplement is B Complex. 33:40 And I think, my theory is that we live in such a toxic, stressful world that we burn up our VB vitamins so rapidly. They’re water soluble, you can’t store B vitamins. We burn ’em up so rapidly that just getting them out of your diet for most people is not gonna be adequate. 34:03 Yeah. Absolutely. Well it’s a very different world now to when I was younger. We’re switched on 24/7, we got mobile devices, we flood our brains with blue light from our mobile devices before we go to bed, we don’t sleep properly and then it just all cascades from there. It’s just crazy, isn’t it? What common practices do you see the public doing in your mind’s eye that really contributes to accelerating aging? 34:37 Okay, well the two we’ve talked about in the sense of exercising and eating poorly. 34:45 Another one that I wanna focus on and talk about, ’cause sometimes people don’t fully understand this, is the hormones. 34:58 So, nobody really knows why. Although, a Russian by the name of Dillman came up with a theory that it has to do with the hypothalamus losing its function ability over time. But nobody really knows why. Our bodies stop making hormones, you can offset this by exercise, especially resistance training but it just does it. Sooner or later, your hormone levels are going down. In particular I’m focusing on thyroid hormones but it happens to all the hormones. Whether it’s melatonin or DHEA or testosterone, whatever, it don’t matter. The mitochondria are very sensitive to that. They’re most sensitive to thyroid hormone deficiencies but they’re sensitive across the board to all these hormone deficiencies, so I think one of the big things people wanna pay attention to, especially as they start getting over 50, 55-ish. 35:57 Start thinking seriously about checking your hormones and seeing if you need to replenish them. ‘Cause I’m a strong believer that there’s gonna be a point in every person’s life where they’re gonna have to start replenishing hormones or they’re gonna suffer from not doing that. 36:18 Let me take a little time to talk about thyroid though. 36:22 ‘Cause in medical school, they taught us that the way you know who needs thyroid is you draw these blood tests. 36:29 And if the blood tests are off you say oh yeah, you need thyroid. It turns out that’s 100% bogus. These blood tests miss low thyroid, they’re good for diseases, okay so if you have an actual thyroid disease, the blood tests bring you in to identify that. But they stink when it comes to finding people whose thyroids just aren’t working optimally. 36:55 For age related reasons, so the problem is there’s so many of the population out there that really needs some thyroid, thyroid is what runs mitochondria. 37:07 Thyroid hormone will actually determine the number of mitochondria you have in your cells and how well they work. So if you’re deficient on that hormone, you got a problem. And extensive blood tests aren’t gonna find that, you’ve got an extra problem ’cause nobody’s gonna find it. 37:26 So how do we find out? What’s the gold standard for that? 37:30 Good question. In the old days, and I’m talking about in the late 1800’s, early 1900’s, you measured cholesterol levels. 38:00 … go to analysis. 38:01 Now, back then, it was incredibly bulky. You had to have a whole room devoted to it. And people breathing in these gigantic plastic bags. And then, you taking samples from the bags. And it was a major deal that nobody would ever think of doing just at the doctor’s office. They did it. And they published the data on it. And what they were able to demonstrate is that a hallmark of low thyroid function is a depressed metabolism when you’re sitting quietly in a chair, or what they call a depressed resting metabolism. The thyroid almost completely controls your resting metabolism. Stu: 39:18 [inaudible 00:39:18] hormone, for example. 39:19 Yeah. And so they came up with these blood tests. And doctors said, “You know what? We don’t need to go through all that hassle. We can just do a blood level. And we can figure this out right now.” Amazingly enough, what is this? Like 60 years later, there hasn’t been one published study that I’m aware of, and I’ve looked for them, that is correlated whether the blood tests accurately predict resting metabolic rate. 39:46 Now, since I’m measuring with my test, I can measure resting metabolic rate. Since I’m measuring that, what I have learned is they don’t correlate at all. Probably nine out of ten times that I’ve got somebody with a severely, I mean noticeably, deficient metabolic rate, their thyroid blood tests are falling within the normal parameters. 40:10 Right. Okay. And I think it’s really tricky, as well. Because I took a flight, an in state flight, a few months back. And I was browsing the magazine, in-flight magazine, and there was a page specifically for thyroid, “Do you check your thyroid health? Do you have any of these symptoms?” The symptoms were as long as the page. There were just so many. And they could’ve been applicable to every single person on the airplane. So talk about confusion. Wouldn’t know where to start. 41:20 So, the patient comes to see me. I do the resting metabolic rate. It stinks. I start giving them escalating doses of thyroid. And while I’m doing that, I’m checking what effect it has on the metabolic rate. And I just give them enough thyroid to get the metabolic rate up to normal. All their symptoms go away. They go back an see their doctor at some point. And he says, “Well, let’s do your thyroid tests.” And they tell him the story. So, the doctor says, “Well, we’d better check your thyroid blood test.” So, he checks their thyroid blood test, and he says, “Your tests don’t look so good. I don’t think you ought to be on this thyroid.” Because the reality is that when you actually get your thyroid dialed in, you can make the tests look wrong. Especially the TSH part of the test. 42:31 Oh boy, oh boy. 42:34 And the doctor just doesn’t connect. Because doctors have been so programmed to buy into these lab tests. 42:41 Yeah. Totally. Totally. It’s very interesting. And I’m so intrigued by the complexity of all of the new modalities, as well, that are appearing in functional and integrative medicine. And it’s almost as if doctor, standard American medical care will be great if you’ve got a broken leg. Or you’ve … But the moment there’s something that doesn’t feel quite right, forget it. Because your standard 15 minutes in the consultation probably won’t get to the solution in time. 43:20 Yeah. You’ve got that right. 43:22 Fantastic. So, people come to you typically anti-aging, and where would you start? I mean, would you run a standard panel to check X, Y, and Zet. 43:37 So, what we do is, they come in, and right from the get-go, they fill out a long list of symptoms. I’m really big into symptoms. ‘Cause I think symptoms are the clues. You’re like a detective going to a crime scene. And so, the symptoms are all the clues around there. So, they fill out an extensive list of you have this symptom, you have that symptom, when does it happen? When did it start? Blah, blah, blah. You’ve got all of this information that way. And then, they also of course, the get this VO2 analysis that we’ve been talking about. 44:12 And we also do a body composition analysis. Which can tell me their visceral fat level. Which can tell me how their fat is distributed throughout their body. Can give me measurements of there extra cellular to total body water, which is pretty important. ‘CAuse that’s regulated by mitochondria. And so, between the body composition analysis, the extensive symptomatology questionnaire, and the VO2 analysis, I sit down with them. And I’ve got all of this data. And I fish through that data, takes me about an hour or so. I’ll probably do a physical exam, listen to their heart, blah, blah, blah. That’s normally all okay. ‘Cause these people are already been looked at by the doctors. If they had a disease, the doctor would have figured it out. But that’s how I get the clue. And then, from there, I like to do testing … We have some tests that measure glycation index. So I look at age related glycations. We look at various vitamin levels, and mineral levels. Now, by the way, if the patient tests out great on his mitochondria, there’s a whole lot of tests that I can avoid doing. A point doing them, I don’t really need to do heavy metal testing because you can’t have significant heavy metal toxicity if your mitochondria function at a high level. So, it’s a good screening test for me. But if they do lousy, and most of them do, by the way. But if they do lousy on the mitochondrial tests, then I’ll probably do heavy metal testing, some toxicology testing, and just stuff that their regular doctors don’t do. And between all of that, we more or less figure it out. 46:00 Fantastic. It’s so refreshing to listen to somebody who is, firstly, so passionate about all of this stuff. But so knowledgeable and understanding. Because I will speak for so many people today, and say that we don’t feel … WE’re not experiencing optimal health. We’re just not. We’re feeling tired, and wired, and we just don’t know why. And there are so many different ideas as to where to start, and general public just doesn’t know. Dr. Frank: 46:32 Still, it’s so depressing in a way. Because I think, for me, I really can’t figure out hardly anything that has to do with a car. If it goes wrong … I can probably change the oil, probably not. I’d probably screw it up. But I keep thinking of suppose my car is acting up. And it won’t drive properly. And the mechanics won’t fix it. Mechanics say, “Oh yeah, your car is fine.” And I know damn well it’s not fine. Yet, I can’t fix it. 47:10 That’s it. That’s it. 47:12 Well, that’s just got to be frustrating as heck. 47:22 Yeah. This is what you do. 47:22 You put up with it. 47:22 And if the car isn’t quite right, then chances are something else will break on it. 47:25 Well, yeah. And then, there you go. 47:33 Well, that’s right. Or you’re just gonna buy a new car. Which you can’t do with your health. 47:38 That would be nice. You can get a new knee. You can get a new hip. 47:42 Yeah, exactly right. Well, we’re just about coming up on time. So, I’ve just got a few questions that I’d just like to run by you. 47:52 And one of them, and I think you’ve spoken about many of these things already. But just to summize, if you had to give us three core tips that you think could make the biggest impact on our overall health. And we’re talking longevity. Not just quick fixes. What might they be? 48:12 Good question. Excellent question. And I do have an answer for that. I would say, at the top of the heap, spend at least an hour and a half, two hours, every week exercising. Do it properly. Do the resistance training. Keep your lean body mass intact. Do the aerobics, so that your aerobic capacity is good. So, that’s probably top of the list. It’s cheap, it’s easy to do, it’s let’s just do it. Secondly, get enough sleep. Get enough rest. If there’s some problem with the way you’re rest … That’s where we recover. If you don’t sleep, we’ve got bad sleep habits. Some of my patients, they stay up until one in the morning watching some stupid TV show. And they just push themselves. That’s gonna pay off some bad dividends down the line. 49:09 So, exercise, sleep, eat good food. And supplement-wise, probably the single most important supplement for anybody to take is gonna be melatonin. Melatonin is the ultimate anti-aging remedy. 49:27 It prevents virtually every degenerative disease you can get. But you’ve got to take some melatonin. And you’ve got to take … And notice, by the way, how that’s tied to sleep. 49:39 So, those two go along. And then, there’s hormones. Well, I think between that, if you just start off with the exercise and the sleep and the diet, and then, when you feel like it, throw in the hormones and the melatonin, you’re off and running. You’re looking pretty good at that point. Stu 49:55 Really, fantastic advice. Yeah. Very intrigued. In terms of the melatonin, is that … It’s safe to say that we should all be consuming that. Because I’ve heard people say, “well, don’t take too much of it, because your body produces melatonin naturally. And it will down regulate if you do that.” What’s your take on that? 50:18 Well, it’s an interesting thing. Because people say that. But when you actually … They’ve studied this. They’ve studied this. Hello? Go from the data. There is no negative feedback inhibition on melatonin, period. 50:33 There is on a lot of hormones. But not on melatonin. 50:37 You could take … I take 200mg every night. That’s a whopping dose. 50:46 If I stop taking it, which I have, just for kicks. Stopped taking it. I still sleep fine. Nothing bad happens to me. There’s no negative feedback inhibition. The animal studies conclusively prove this. 51:00 And so, you’re safe at any dose. It’s a completely non-toxic substance. They’ve tried, with animals, to find a toxic dose of melatonin. They cannot find one. 51:12 Right. Brilliant. Well, you are the anti-aging specialist. So I think we should listen to what you have to say. 51:20 So, take some melatonin. Throw that in the mix. 51:23 Yeah. I will do. And what’s next in the pipeline? I mean, no doubt you’ve got lots of things going on. You’re clearly a very busy man. What have you got coming up? 51:33 Oh, gosh. What am I busy doing? I guess … I’m big on melatonin. Maybe that’s my big deal right now, is get this word out. Because as you’ve pointed out, there’s so many misconceptions about this fantastic molecule, that I need to get that word out. So I’m big on that. The other thing is, I really want to try and do as much as I can to teach doctors how to get away from that simple-minded mentality of just treating symptoms. And to try and teach them the kinds of things that I’ve learned that help you get to the cause of the reason people get sick. And try to deal with them on that level. Stu: 53:30 That’s great advice. I absolutely agree. I think that the person that is most vested in your own health is certainly just gonna be yourself. And we’re at a time where I think we’ve never had access to so much information. And especially with podcasts, as well. You just get to speak to the pioneering. 53:49 Oh, it’s unbelievable. Unbelievable. So where, if I wanted to point everybody who’s listening to this now, to Dr. Frank Shellenberger, where would you send them? 53:59 You know, there’s a couple places you can go. And number one, I’m all over You Tube. 54:03 And you can You Tube me. I’ve written a number of books. You can search my name through Amazon, for example. 54:13 And you can go to my website, my clinic website. And there’s videos on there, and a lot of information about some of these things we’ve been talking about, on there. And that’s an easy website to remember. It’s antiagingmedicine.com. 54:27 Brilliant. Fantastic. Well look, we will put all of the … All of the links, and information that we’ve spoken about today, in the show notes. But I really, really appreciate the time today. And with so many gems of information in there. I know that everybody that listens to this will get something out of it. So, thank you again. I really appreciate your time. And hopefully, we’ll speak to you sometime in the future to continue the conversation. 54:54 Any time. I’ve enjoyed our conversation. And congratulations to you for doing such a good job. ‘Cause what you’re doing is, obviously, a good part of what we need to do to get the word out. 55:03 Fantastic. Thank you so much. I really appreciate it. 55:06 Speak to you soon. Bye-bye. 55:17 Thanks for listening to our show, The Health Sessions. 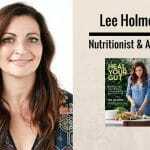 If you would like more information on anything health, from our blog, free e-book, or podcasts, simply visit www.180nutrition.com. au. Also, if you have any questions or topics you’d like us to see cover in future episodes, we would really love to hear from you. Simply drop us an email to info@180nutrition.com.au. And if you listen to us through I-Tunes, and enjoy the show, we’d really appreciate a review in the review section. So until the next time, wherever you are in the world, have a fantastic week.